2009.08.10. Doctor Larry Smarr giving a Q&A session for TASICT Tasmania ICT Industry Association at the Hobart CSIRO regarding the National Broadband Network FTTH/FTTP and the potential for business to take advantage of the high speed internet. 2018.08.06 Dr. Larry Smarr has been collecting 3D visualizations and detailed data on his body for almost a decade, amassing it all into a VR medical avatar of himself fondly known as "Transparent Larry." What could this mean for the future of personalized medicine? Duration : 04:30 mins. Views : 35934. 2009.07.27 Larry Smarr discusses the state of the art in supercomputing, with a focus on how current computation compares to the human brain and when supercomputers will surpass human processing power. 2013.05.22 Astrophysicist turned computer programmer Larry Smaar talks about how charting his bodily inputs and outputs in minute detail revealed the true ecology of the quantified self. Duration : 16:07 mins. Views : 6812. 2007.06.07 Larry Smarr, Director of The California Institute for Telecommunications and Information Technology , Calit2, gives the speech "Using Supercomputers and Supernetworks to Study the Ocean of Life" as part of The Los Alamos National Laboratory Director's Colloquium series. 2015.06.16 Larry Smarr and Rob Knight of UC San Diego present research using big data and other innovative tools to understand the human microbiome and to demonstrate the symbiotic relationship between microbial life and humans. This plenary talk is part of the 2015 Cavendish Global Impact Forum. Duration : 1:33:25 mins. Views : 1834. 2018.06.08 Computer scientist Larry Smarr and osteopathic physician Michael Kurisu present a vision for healthcare that combines the best of allopathic and osteopathic medicine by using a more personalized, hands-on, systems-based approach to treating patients. Duration : 21:30 mins. Views : 1774. Duration : 44:52 mins. Views : 1460. 2018.01.07 In this tour de force talk at Exponential Medicine 2017, Microbiome pioneers & UCSD Professors Larry Smarr and Rob Knight explore the role of microbiome in health and disease. Duration : 35:00 mins. Views : 939. 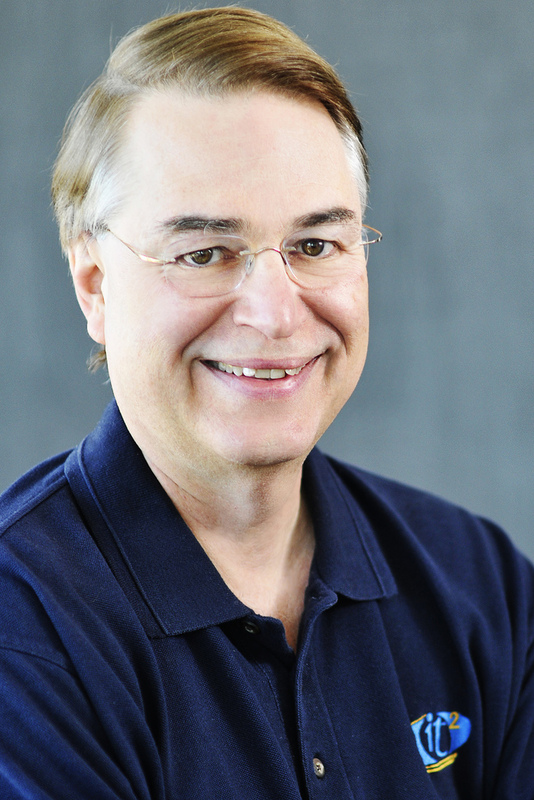 2018.07.09 Larry Smarr believes in being the CEO of his own body, and for years, he has been measuring inputs (food and drink) and outputs (caloric expenditure and excretion patterns), and juxtaposing that data with imaging and analyses of his blood and stool samples. Duration : 42:00 mins. Views : 778. 2012.11.26 Larry Smarr, recently featured in The Atlantic's "The Measured Man,"talks with the author Mark Bowden about the drive to understand everything about his own body and how that kind of knowledge will become standard in the future. Duration : 50:39 mins. Views : 753. Duration : 04:16 mins. Views : 676. Larry Smarr - "Why Researchers are Using Advanced Networks"
2018.06.09 The full recording of computer scientist Larry Smarr presenting ten years of his personal health data on the Visualization Wall at his institute, Calit2 at UC San Diego. Duration : 44:41 mins. Views : 594. 2008.05.21 San Diego, CA, June 1, 2008-- Top officers from technology companies around the world converged on the UC San Diego division of Calit2 last week for a series of innovative demonstrations and a tour of the institute's high-tech facilities. 2012.03.16 UCSD Physicist Larry Smarr explains Quantified Self and how he believes it could help lower the financial strains of health care. Video by Gary Robbins and David Brooks. Duration : 1:37:12 mins. Views : 427. Duration : 1:10:34 mins. Views : 252. 2014.01.22 The human body is host to 100 trillion microorganisms, ten times the number of cells in the human body and these microbes contain 100 times the number of DNA genes that our human DNA does. The microbial component of our "superorganism" is comprised of hundreds of species with immense biodiversity. Duration : 1:02:50 mins. Views : 250. 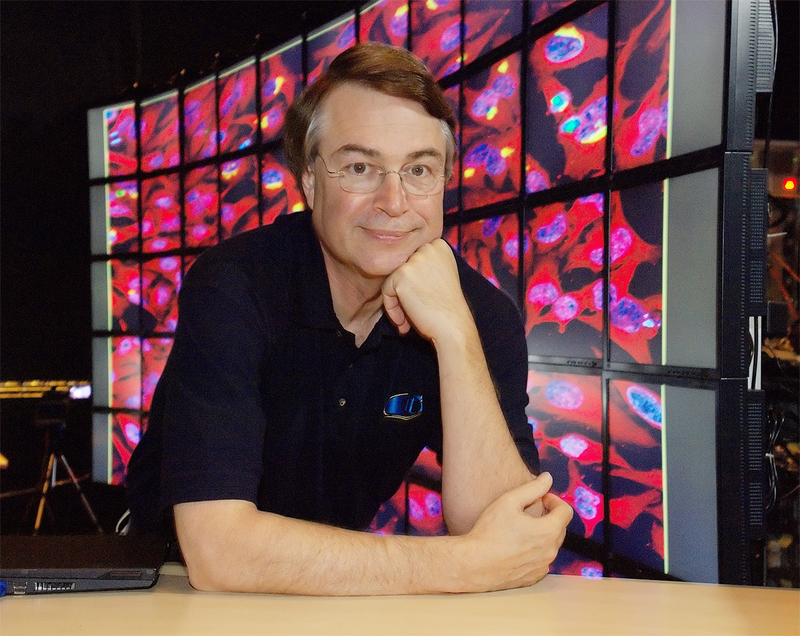 2017.11.06 UCSD Professor Larry Smarr has used a supercomputer to monitor his health and peer at his organs. Recently, he used his knowledge to help direct his own surgery in collaboration with his surgeon and Intuitive Surgical. Watch Larry, his surgeon Sonia Ramamoorthy, and Catherine Mohr (Intuitive Surgical) discuss this new approach to precision surgery at Exponential Medicine 2017. Duration : 23:00 mins. Views : 243. Duration : 1:51:00 mins. Views : 225. 2009.09.22 During his keynote address at UC San Diego's 2009 Welcome Week Convocation - the inaugural academic event of the year - Internet pioneer Larry Smarr reminded a crowd of more than 4,000 freshmen and transfer students that they will be on the front lines of one of the greatest challenges of our time. 2015.09.21 The NCSA Colloquia series brings leaders in big data, big computing, and big research to the University of Illinois at Urbana Champaign to enlighten and spark innovation among researchers and students of all disciplines. Duration : 00:00 mins. Views : 214. 2012.06.02 Larry Smarr, Peter Cowhey, Ed Keller, Benjamin H. Bratton at Designing Geopolitics 2. The 2nd Annual Conference of the Center for Design and Geopolitics. Black Box theater, Calit2. University of California, San Diego. 2011.10.18 The Atlantic's James Fallows talks to Peggy Johnson of Qualcomm and Larry Smarr and Susan Shirk of UC San Diego about the future of technology in China, the US and around the world. 2014.08.04 Larry Smarr, Ph.D, founding Director of UCSD's Calit2, and a Harry E. Gruber Professor of the Computer Science and Engineering Department, speaks on personalized technological relationships and his own experience of experimentation on himself. Duration : 47:17 mins. Views : 183. 2008.05.17 Larry Smarr received an honorary degree from the University of Missouri on May 17, 2008. 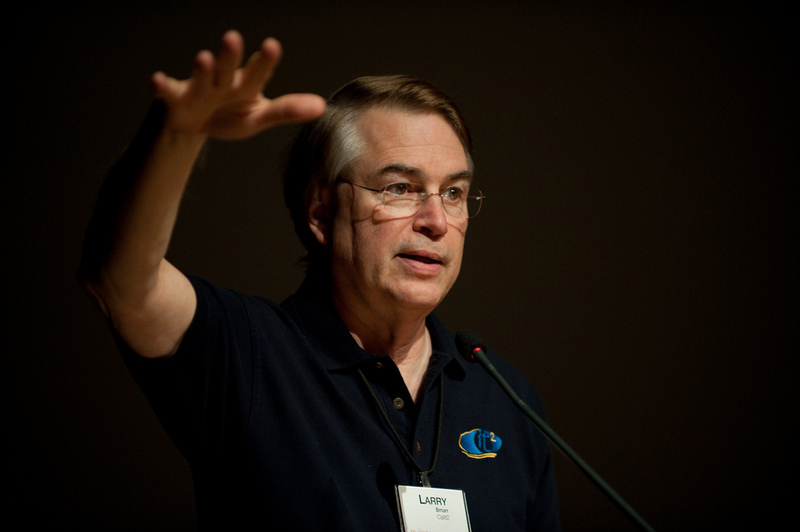 2008.11.19 A program created by SGI featuring Larry Smarr discussing the creation of Calit2. 2002.05.31 Calit2 is taking ideas beyond theory into practice, accelerating innovation and shortening the time to product development and job creation. Where the university traditionally has focused on education and research, Calit2 extends that focus to include development and deployment of prototype infrastructure for testing new solutions in a real-world context. Duration : 05:50 mins. Views : 155. Topics : calit2 innovation california institute telecommunications information technology. 1989.11.13 In 1989. the National Center for Supercomputing Applications (NCSA) at the University of Illinois at Urbana-Champaign used its presence at an international computer visualization conference -- SIGGRAPH 1989 -- to paint a vision of distance being eliminated by network and computing technology. 2002.02.21 Larry Smarr's talk from February 2002 at the Jacobs School of Engineering, where he discusses Sensor Networks. 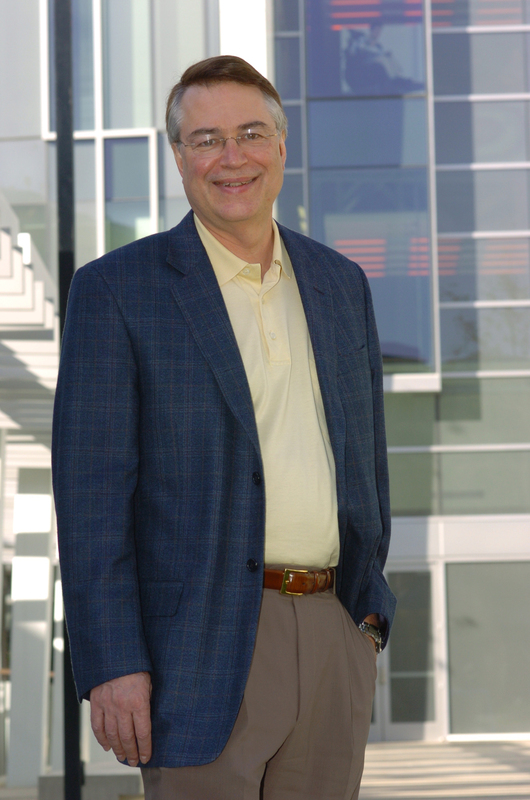 2011.03.02 NCSA's founding director, Larry Smarr, who now leads the California Institute for Telecommunications and Information Technology (Calit2), spoke via a live video feed at a 25th anniversary celebration on March 2. Duration : 1:09:54 mins. Views : 121. 2009.08.10 Featuring Professor Larry Smarr. Professor Smarr is recognised as one of the founding fathers of the Internet and continues to be one of the most respected voices on the computer technology and the digital economy. Duration : 09:55 mins. Views : 105. 2013.02.28 Keynote Address by Larry Smarr (Calit2 @ UC San Diego) — "Campus-scale High-Performance Cyberinfrastructure Required for Data-Intensive Research"
Duration : 51:06 mins. Views : 103. 2014.11.24 Director of California Institute of Telecommunications and Information Technology Larry Smarr shares his vision of the future of computing and what changes are on the horizon in the next ten years at the Rethink Disruption conference. Duration : 15:54 mins. Views : 98. 2009.11.18 Audio Only Podcast On this seven minute podcast, Larry Smarr shares his thoughts on strategizing cleaner energy for data centers and greener IT campus-wide. 2006.08.07 Audio Only Podcast For the 26th year, GIS professionals from around the world met to share knowledge and experience and build relationships at the 2006 ESRI International User Conference in San Diego, California, held August 7-11. 2009.08.10 Doctor Larry Smarr giving a Q&A session for TASICT Tasmania ICT Industry Association at the Hobart CSIRO regarding the National Broadband Network FTTH/FTTP and the potential for business to take advantage of the high speed internet. Duration : 07:01 mins. Views : 46. 2004.04.12 Larry Smarr's talk at the 2004 Calit2 All Hands Meeting. 2008.11.24 Audio Only Podcast This forty-three minute podcast features a session recorded at the EDUCAUSE 2008 Annual Conference. 2012.03.16 UCSD Physicist and futurist Larry Smarr talks about his influences and the role of science as it relates to the general public. Video by Gary Robbins and David Brooks. Duration : 1:03:00 mins. Views : 34. 2003.09.24 Larry Smarr's talk from Calit2 Day at UC San Diego in 2003. Duration : 1:01:32 mins. Views : 22. Duration : 56:41 mins. Views : 8. Duration : 1:39:07 mins. Views : 5. 2009.11.05 A significant contributor to rising greenhouse gas (GHG) emissions is the information technology and communications industry itself. Duration : 53:33 mins. Views : 4. 2013.01.28 Larry Smarr Health Demo in Calit2 VROOM on January 28, 2013. Duration : 16:07 mins. Views : 0. 2013.01.20 If Larry Smarr doesn't make you squirm a bit with his graphic illustration of the obesity epidemic in America, you aren't paying attention. In an engaging first-person narrative of his journey to enlightenment about the state of his own health, the revered scientist admits that 10 years ago he knew more about the surface of Mars than he did about his own body. 2014.04.23 Deepak Chopra interviews Dr. Larry Smarr who is the founding Director of the California Institute for Telecommunications and Information Technology at (CALIT2), a UC San Diego/UC Irvine partnership. We discussed everything from the origins of life, life in the universe, consciousness, mind brain genome, environment and the science of epigenetics.